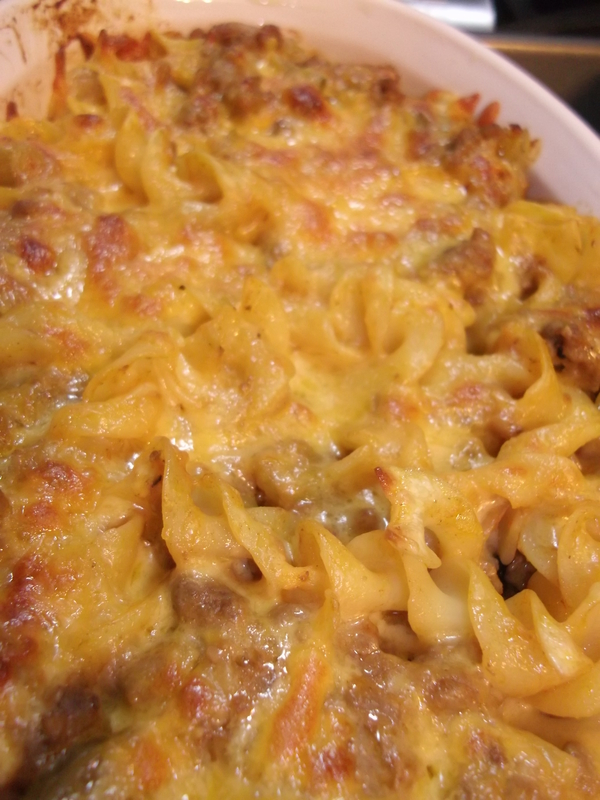 One cold, chilly winter evening when I was craving comfort food (read: Minnesota “hotdish”) and looking for a recipe that used an ingredient I had on hand, I did a quick internet search that yielded no results. (I ended up making up that recipe up myself.) 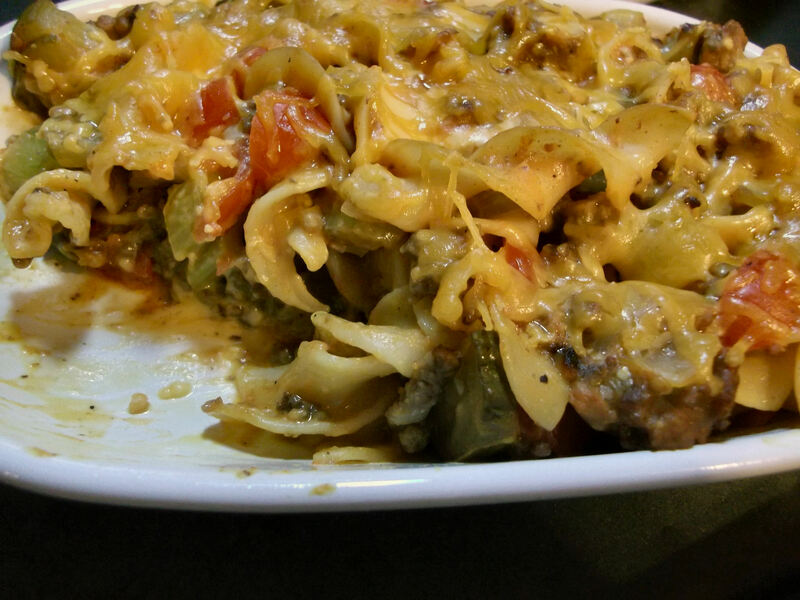 However, one idea that kept showing up was that of a cheeseburger casserole. I quickly scanned the ingredient list, thought it sounded interesting, and promptly forgot all about it. 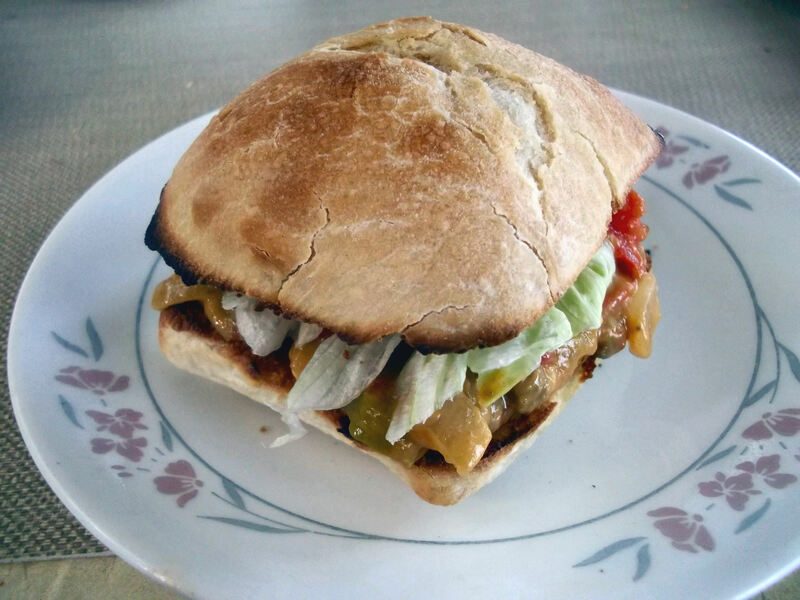 A few weeks later, I set out to make my own version, which fast became a new favorite in our house. Preheat oven to 350° F. In a medium pan over medium-high heat, brown the ground beef, breaking it apart as it browns. When most of the red color is gone, add the diced onion and minced garlic and cook until the beef is browned and the onions are softened. Drain excess fat, place the browned beef in a large bowl and stir in the steak seasoning. 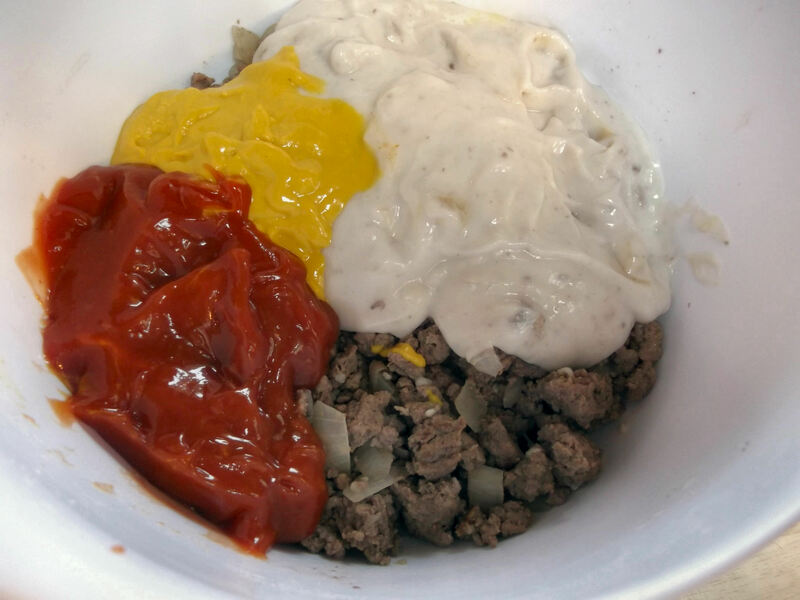 Add the ketchup, mustard and condensed soup to the ground beef and stir well to combine. 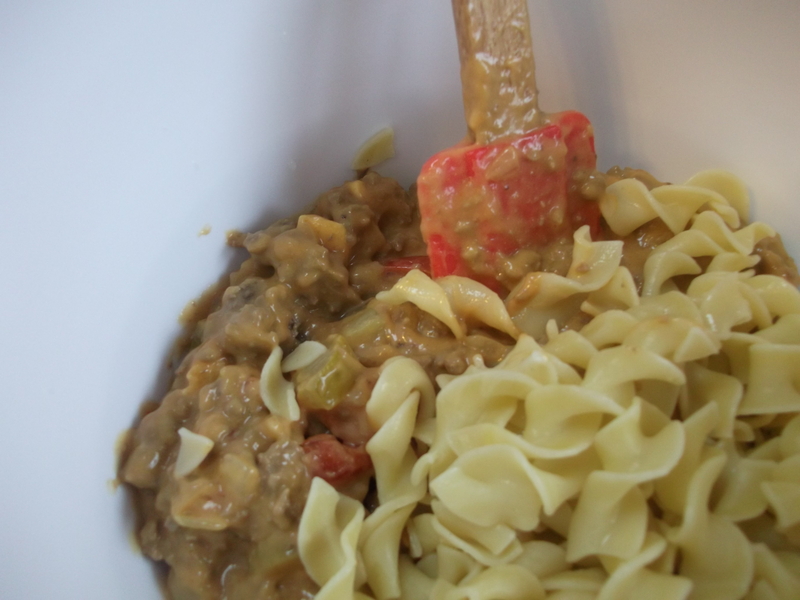 Stir in the diced tomatoes, sliced pickles and American cheese pieces. Add the cooked egg noodles and mix well. Add salt and pepper to taste. 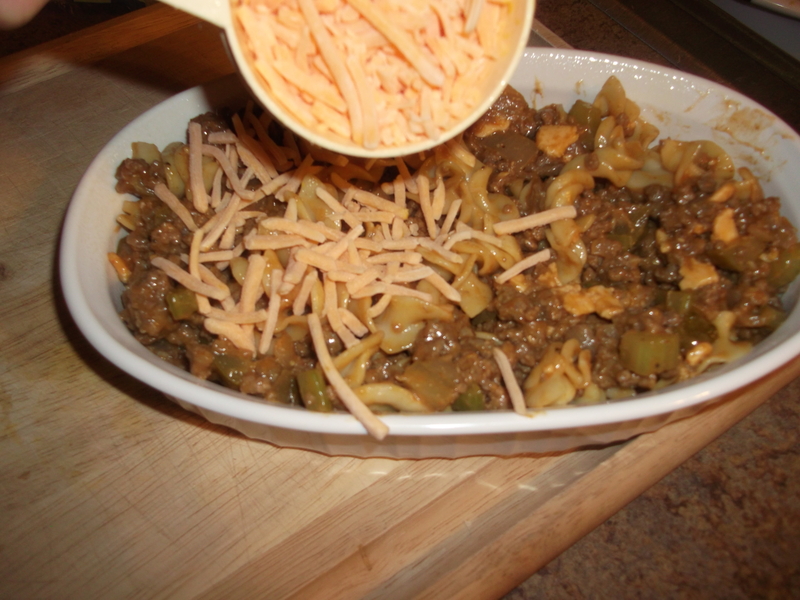 Pour mixture into a 9 x 13 baking dish and top with the shredded cheddar cheese. Spray a large piece of foil with cooking spray and tightly cover the pan, sprayed-side down (to prevent the cheese from sticking). Bake at 350° for 30 to 45 minutes or until bubbling. Remove the foil from the pan and place the uncovered pan under a broiler for several minutes to lightly brown the cheese. Let stand 10 minutes before serving. 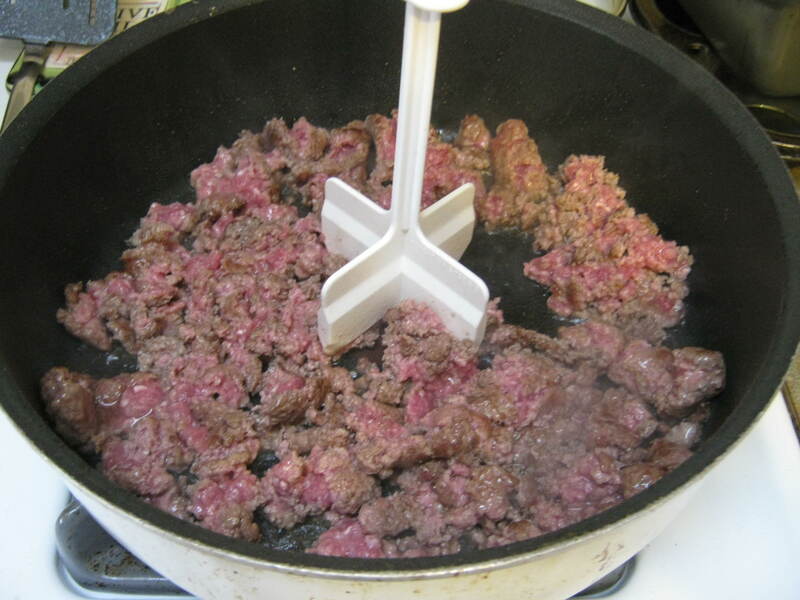 In a medium pan over medium-high heat, brown the ground beef, breaking it apart. When most of the red color is gone, add the diced onion and minced garlic and cook until the beef is browned and the onions are softened. Drain excess fat, place the browned beef in a large bowl and stir in the steak seasoning. Add the ketchup, mustard and condensed soup to the ground beef. 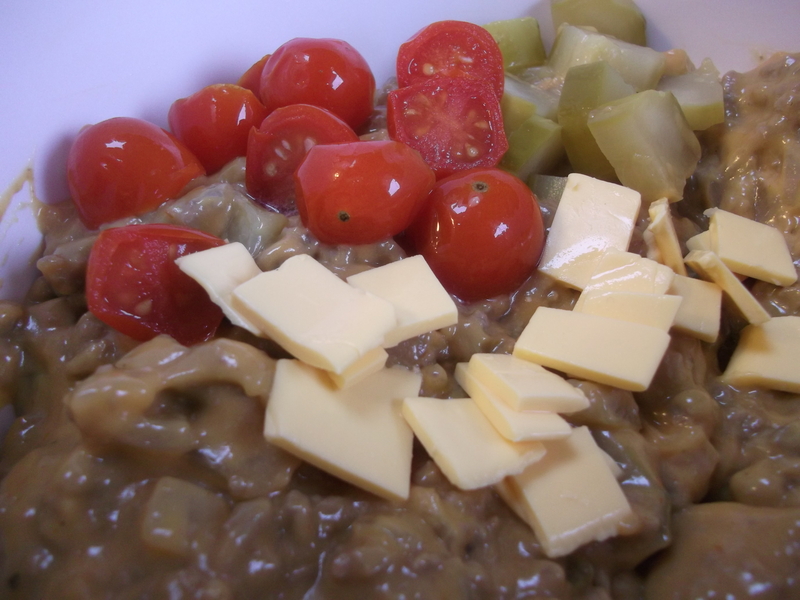 Stir well to combine, then add the diced tomatoes, sliced pickles and American cheese pieces. Stir well to combine, then add the cooked egg noodles. You guessed it: stir well to combine, one last time. Add salt and pepper to taste. 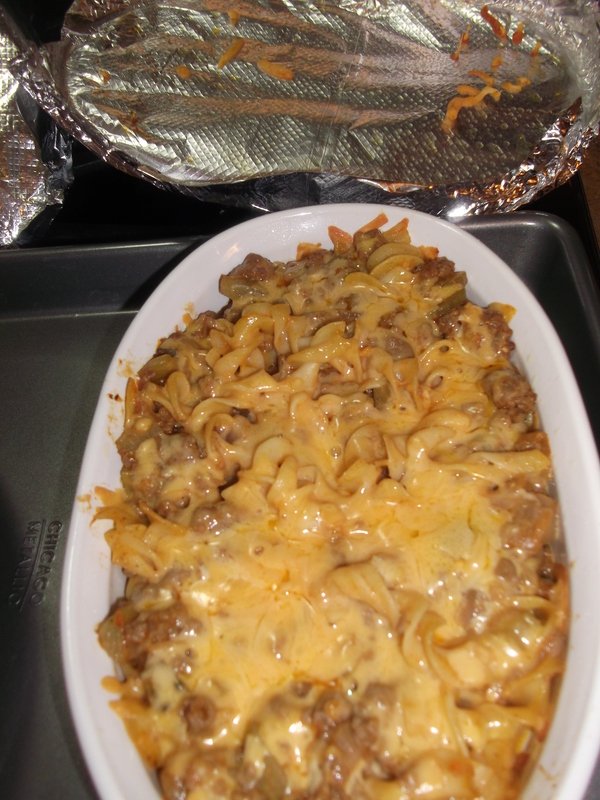 Pour mixture into a 9 x 13 baking dish (or several smaller ones, as shown below) and top with the shredded cheddar cheese. Spray a large piece of foil with cooking spray and tightly cover the pan, sprayed-side down (to prevent the cheese from sticking). Bake at 350° for 30 minutes or until bubbling. Remove the foil from the pan and place the uncovered pan under a broiler for several minutes to lightly brown the cheese. Let stand 10 minutes before serving. Enjoy! That looks yummy, Diane! Cream of mushroom soup is pretty hard to come by here at a Palestinian village. How would you make it without it, substituting 3% milk somehow? Thanks. Here’s an idea: make a bechamel sauce: melt 1 T butter, stir in 1 T flour, cook for a couple minutes (don’t let it brown, then stir in 1 C of milk (it helps if you can warm the milk first). Stir until you can see the bottom of the pan in the wake of your spoon/spatula. Set aside and it will continue to thicken.